Unless otherwise posted, the speed limit is ____ on streets and highways. Unless otherwise posted, the speed limit on streets and highways is 55 mph. If a posted sign indicates otherwise, follow the speed limit on the posted sign. A 10-day jail sentence and a $100 fine. A 30-day jail sentence and a $250 fine. A 60-day jail sentence and a $500 fine. It is illegal to permit or authorize an unlicensed person to drive a motor vehicle. Doing so can result in a 60-day jail sentence and a $500 fine. If the vehicle is involved in a crash resulting in bodily injury or the death of any person, the person who permitted the unlicensed person to drive shall have his/her license suspended for one year. If you arrive to an open intersection at the same time as a vehicle to your right, you should yield the right-of-way to that vehicle. You may then proceed when it is safe to do so. Must slow down and prepare to stop. Must stop and check for oncoming traffic before proceeding. May drive through the intersection if the road is clear. A steady green light means you may drive through the intersection if the road is clear. 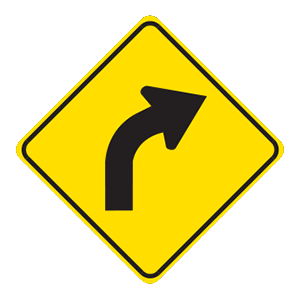 You may also turn right or left on a steady green light unless a sign prohibits the turn. When turning, you must yield to other vehicles and pedestrians within the intersection. Speeding is against the law. You must obey the speed limit and you are responsible for knowing the speed limit when you are driving. The “speeding buffer” is a myth; you are not allowed to drive up to 10 mph over the speed limit.